Renowned Hassidic Cantor Moshe Teleshevsky has passed away, on the second day of the Sukkot holiday in the diaspora, in New York. The man known affectionately in the Chabad-Lubavitch world as “the Rebbe's Chazzan,” Moshe Teleshevsky, has passed away. Teleshevsky, known around the world among Chabad-Lubavitch Hassidim, died Tuesday morning in New York, the second “holy day” of the Sukkot holiday in the diaspora. The cantor was famed for his signature rendition of “Yehi Ratzon” that led into the Hassidic niggun (song), “Sheh Yiboneh Beis HaMikdosh” (May it be Your Will to soon [rebuild] the Holy Temple). Born in Russia, by the age of nine he was already performing before audiences, playing piano while his father, also a professional canot, sang. By the age of 11, Teleshevsky made his professional debut before a standing room-only audience. A student of Europe's Professor Santina, he graduated from the Gilden School of Sacred Music, and was the outstanding student of Professor S.S. Horowitz of the Milan Opera. 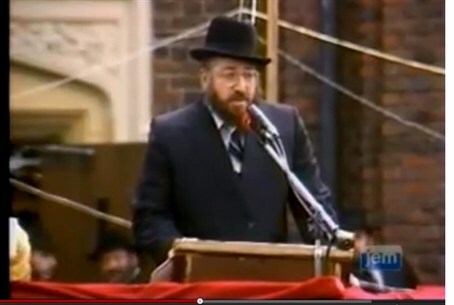 But in the Chabad world, he was known for the niggun that he performed most often for the Lubavitcher Rebbe, Rabbi Menachem M. Schneerson of righteous memory, especially during the festival of Sukkot. Teleshevsky's funeral is scheduled for Thursday morning EDT in the Crown Heights section of Brooklyn, home to Chabad-Lubavitch World Headquarters at "770" Eastern Parkway.